2R: Reveal cards from the top of your library until you reveal a nonland card. 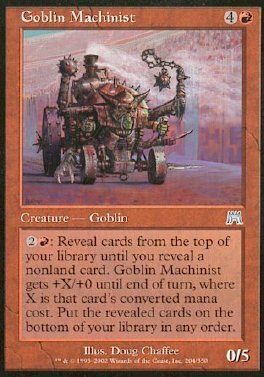 Goblin Machinist gets +X/+0 until end of turn, where X is that card's converted mana cost. Put the revealed cards on the bottom of your library in any order.